The club was formed in 1947 and remained in local football until 2006 when they joined the Western League following a Somerset Senior League win.They've remained there ever since, staying in Division 1 apart from 2013-14 when they finished bottom of the Premier Division after they were runners-up to Sherborne Town the previous season. Last season they were runners-up again, this time to Wellington. This season they have started well, sitting in mid-table and will record the best finish in the club's history should they avoid bottom spot. 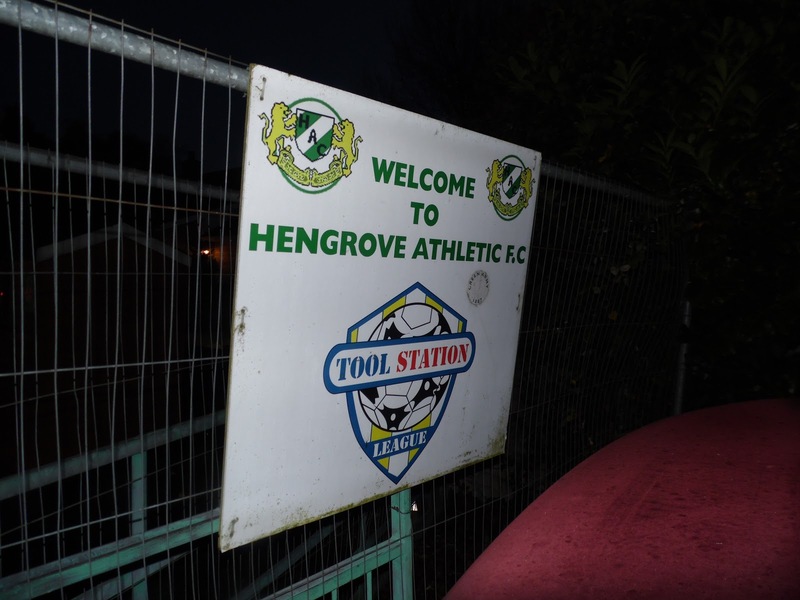 Hengrove Athletic have competed in the FA Cup in all but one season since 2011. Success has been very limited, with just a couple of victories in all this time. 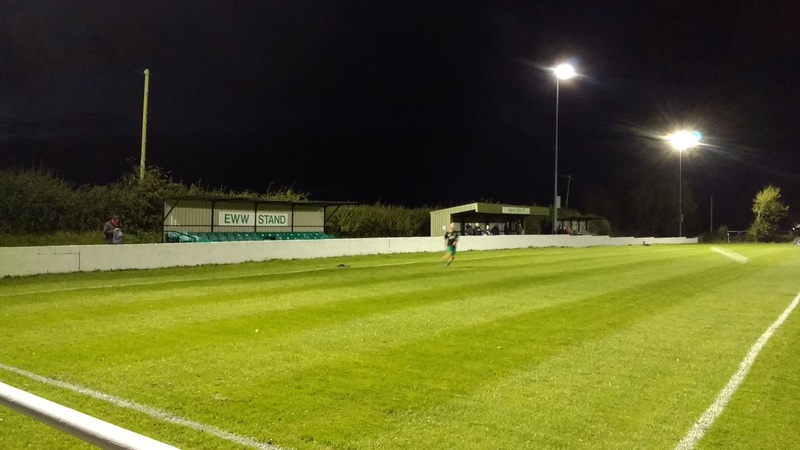 They've fared a little better in the FA Vase, reaching the 3rd Round in 2015/16. 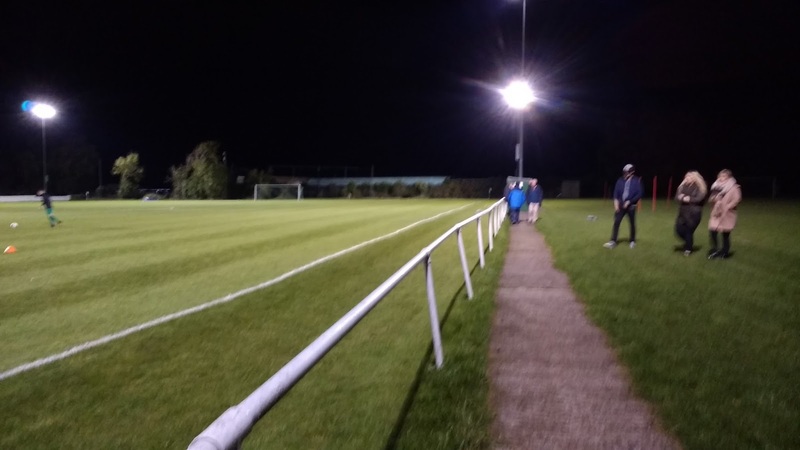 After beating Radstock Town, Gillingham Town & Radstock Town, their run came to an abrupt end with a 7-1 defeat at Bristol Manor Farm. LOcal cup wins include the Somerset Senior Cup (twice) and the Les Phillips Cup (Western League Cup) in 2016. 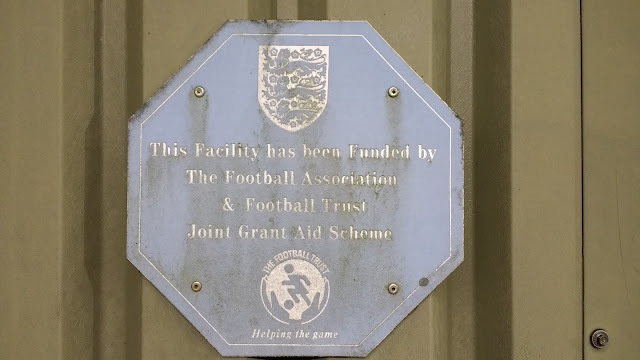 I stood in the middle stand on the near side to watch the game. Hallen started well and were ahead after a couple of minutes. A great corner was put in and Scott Thomas headed home at the back post. Hallen were the better side and they made it 2-0 on 22 minutes with a well-worked goal, eventually scored by Luke Mills. 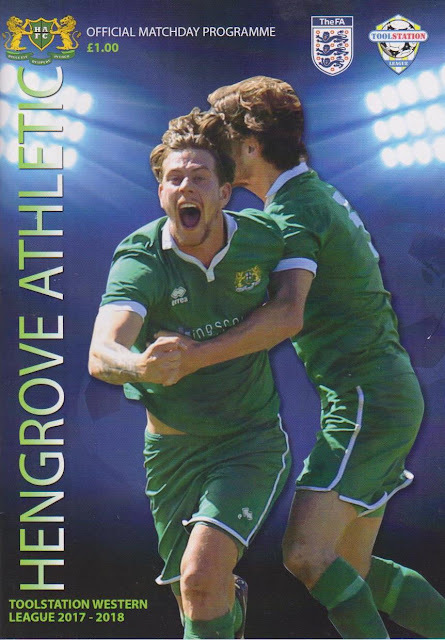 That said, Hengrove were their own worst enemies, giving the ball away more than once in the leadup to the goal. The visitors continued to be the better side but Hengrove still weren't out of it. 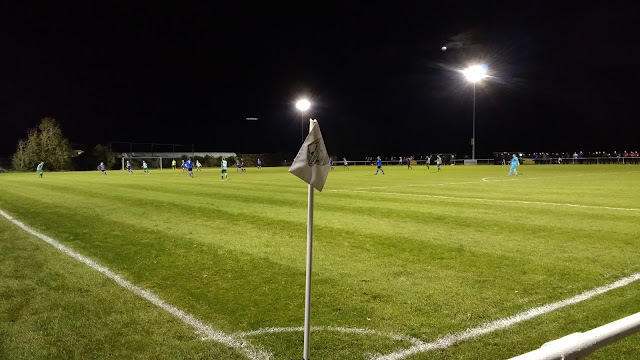 They reduced the arrears five minutes into the second half with a cracking free kick by Craig White that found the very top left-hand corner. 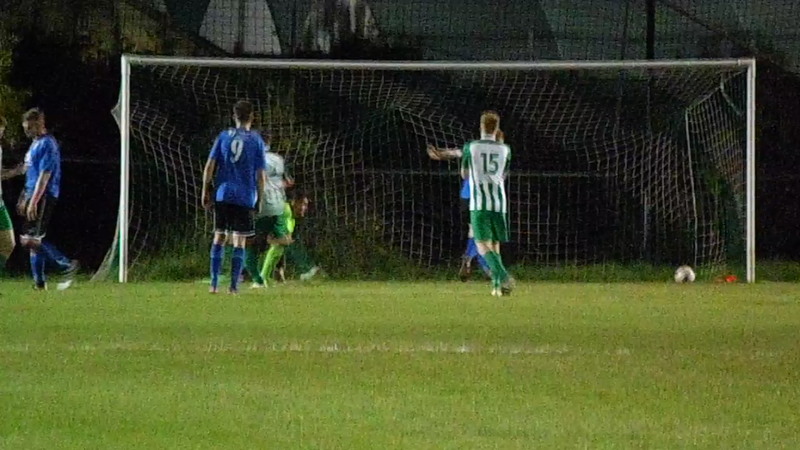 A few minutes later, it was all square, another rocket into the top corner by Rhys Hickery from the edge of the area. More questionable defending from the hosts saw Hallen retake the lead on 71 minutes as the ball broke to Scott Cousins and he fired home a low shot from the edge of the area. 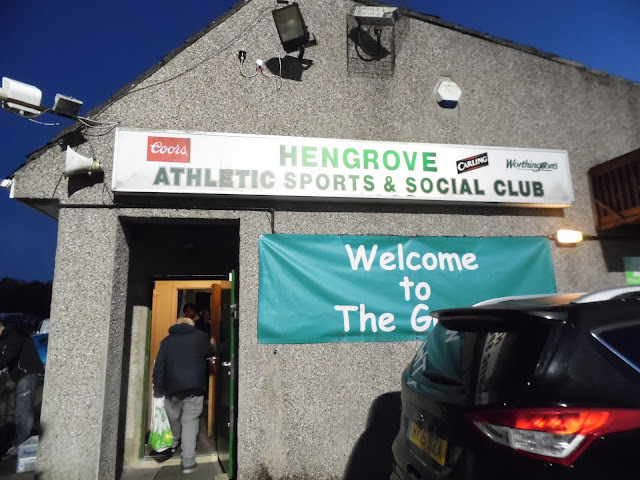 Just as it looked as if Hallen had it in the bag, Hengrove were awarded a penalty in the last minute for handball. Jack Fillingham stepped up and converted to make it all square. It had been the game of the day, even so, my body was feeling a tad tired and I was glad to be heading back to my bed. I got in around 11, going to sleep pretty soon after. 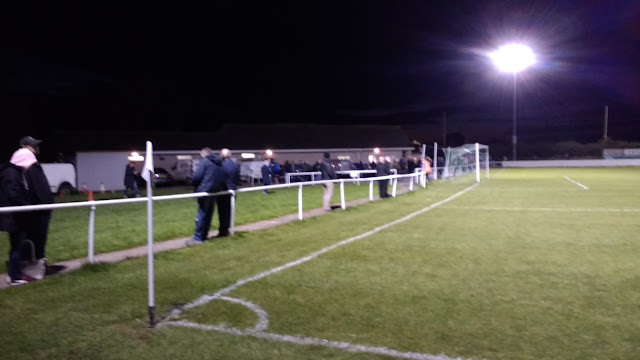 NORTON LANE is fairly typical of modern grounds. 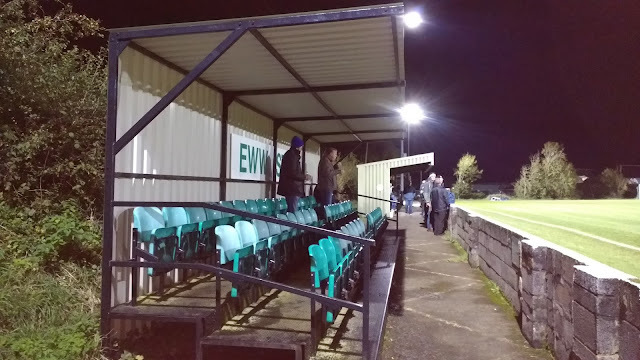 There are two seated stands, both metal ones, holding around 100 each. There's also a covered terrace in between, with a capacity of around 150. The rest of the ground is open and is well kept. 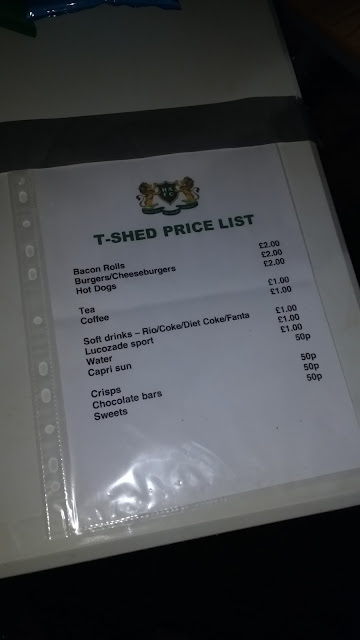 The food and drink facilities are pretty good, the bar had a decent range. There was also a BBQ which was doing a roaring trade and coped with the queues well. 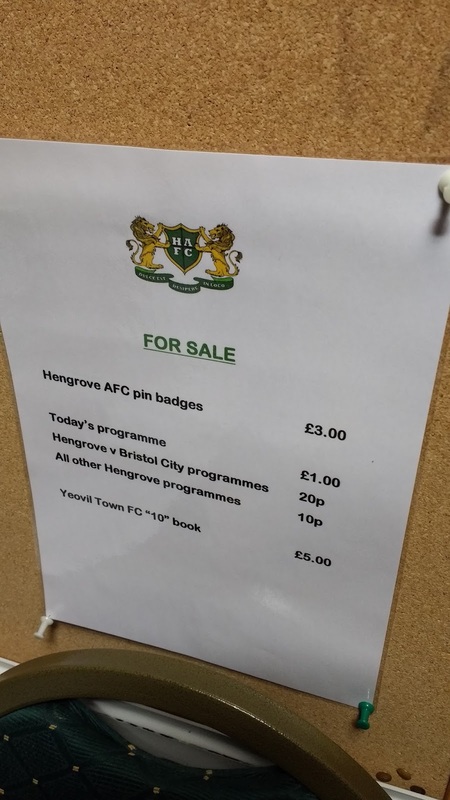 There was a small range of merchandise at the ground as well.